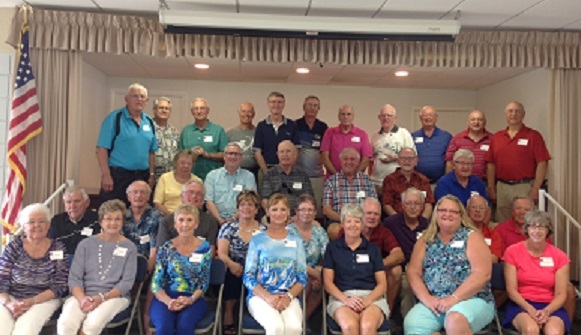 Rochester alumni/retirees and their spouses enjoyed an afternoon of catered heavy appetizers & desserts, renewing friendships, getting caught up on life after retirement and meeting others they may not have previously known from their IBM days. This photo was our 5th Annual, IBM Rochester Snowbird Gathering. We had a wonderful turn out on a delightfully sunny, warm winter Florida day … it was actually a Chamber of Commerce type day.